On November 1st at 9:00am, the ticket lottery for the 2019 Half Corked Marathon opens for one week, offering the chance to secure one of 1,500 highly coveted spots for Oliver Osoyoos Wine Country’s leading event. 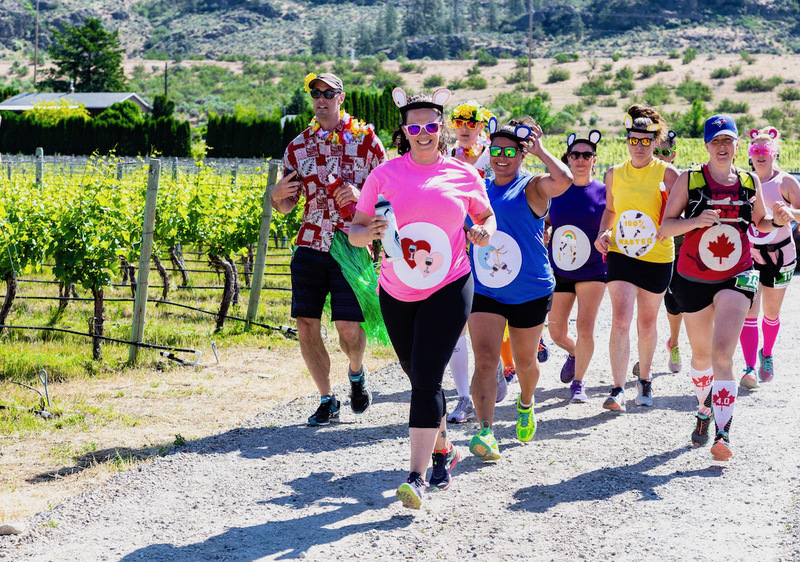 Held on May 25th, 2019, the Half Corked Marathon returns for its 11th year, weaving runners along an 18km route, through the vineyards of Oliver Osoyoos Wine Country’s celebrated wineries, with wine stations dotted along way. Over recent years, the event has grown to encompass a full weekend of festivities, including: Primavera, a beautiful long-table dinner with food from Joy Road Catering, held between the vines at Oliver Twist Estate Winery; and Dinner in the Park, where intimate tables offer the chance for guests to dine with a winemaker, while enjoying a delicious family-style meal. 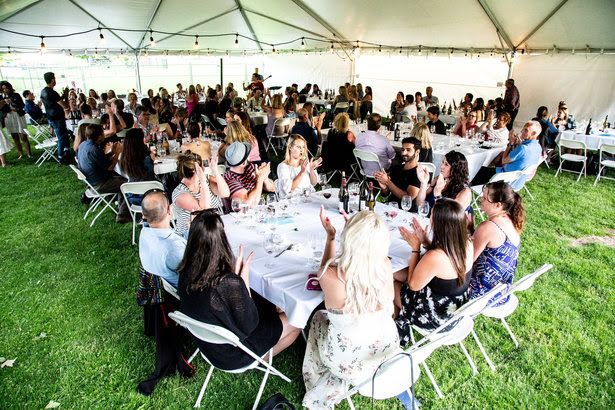 Many wineries offer events too, including the Recovery BBQ at Road13 Estate Vineyards, the Tinhorn Creek Concert Series and more to be announced. Once the lottery closes on November 8 at 11:59 pm, lucky entrants, selected at random, will receive the opportunity to purchase two tickets to the 2019 event. Family and friends are encouraged to join and cheer on the runners from the Finish Line Party, while enjoying wines from the region, a food truck “jam” and live entertainment, as well as the many imaginative costumes worn by runners along the way (two “Mali-Booze Barbies” won the costume contest last year). Tickets for additional weekend events (including Primavera and Dinner in the Park) will be announced shortly. To receive notifications for all Half Corked Marathon weekend events, please sign up to the Oliver Osoyoos Winery Association e-news, here. For more information about Oliver Osoyoos Winery Association’s annual signature events, and member wineries, please visit: www.oliverosoyoos.com. Gold Hill Rust Wine Co.
Uncork the Sun! Colourful characters, award-winning wineries and stunning scenery all give Oliver Osoyoos Wine Country its unique glow. 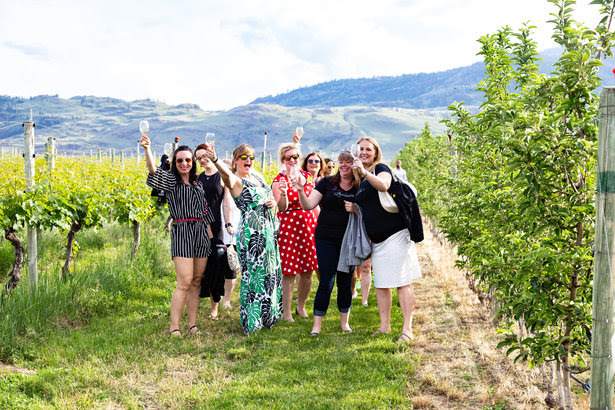 Situated at the very southern tip of British Columbia’s Okanagan Valley, in one of the warmest areas of Western Canada, the region’s 41 wineries have won more accolades than any other wine region in Canada. The sunny slopes of Oliver Osoyoos Wine Country are also the perfect place to enjoy fine dining with winery views and to experience inventive events such as the Half Corked Marathon (Canada’s Event of the Year), and the annual food and wine festivals, Pig Out (May) and Festival of the Grape (October). For more information, visit www.oliverosoyoos.com.